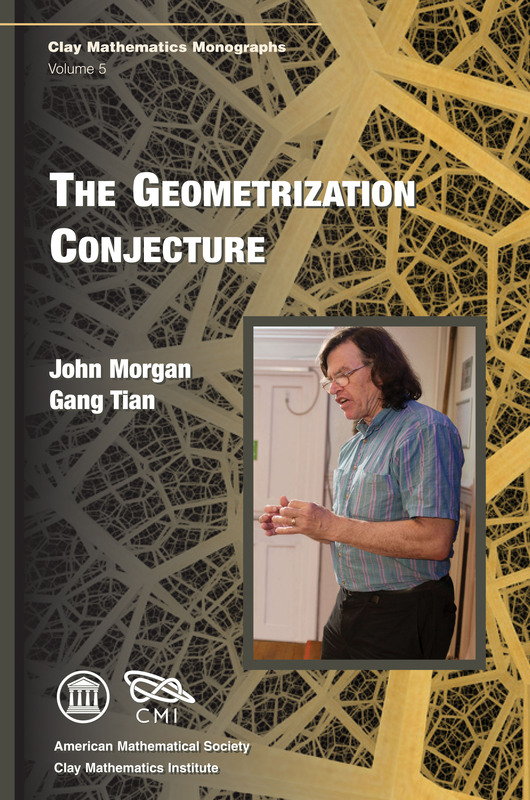 This book gives a complete proof of the geometrization conjecture, which describes all compact 3-manifolds in terms of geometric pieces, i.e., 3-manifolds with locally homogeneous metrics of finite volume. The method is to understand the limits as time goes to infinity of Ricci flow with surgery. The first half of the book is devoted to showing that these limits divide naturally along incompressible tori into pieces on which the metric is converging smoothly to hyperbolic metrics and pieces that are locally more and more volume collapsed. The second half of the book is devoted to showing that the latter pieces are themselves geometric. This is established by showing that the Gromov-Hausdorff limits of sequences of more and more locally volume collapsed 3-manifolds are Alexandrov spaces of dimension at most 2 and then classifying these Alexandrov spaces. In the course of proving the geometrization conjecture, the authors provide an overview of the main results about Ricci flows with surgery on 3-dimensional manifolds, introducing the reader to this difficult material. The book also includes an elementary introduction to Gromov-Hausdorff limits and to the basics of the theory of Alexandrov spaces. In addition, a complete picture of the local structure of Alexandrov surfaces is developed.